As the title suggests, " Dynamic Communication: 27 Strategies to Grow, Lead, and Manage Your Business" is about business communications but it isn't your ordinary business book. 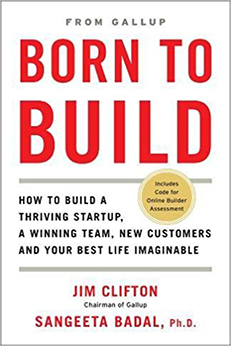 Written by a former professor, radio host, and speaker, this book is about tweaking the tiny nuances in the current way you and your team communicates so they can speak with greater clarity and leave a stronger impact with every word they use. Communicating in business is more than spelling words correctly or using punctuation marks in the right place. It’s about presenting and delivering your intended message with as much clarity as possible. Why? Business miscommunication can do more damage than hurt feelings. 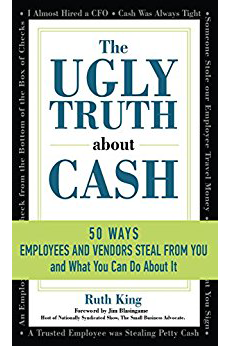 It can ruin a company’s reputation, employee morale, investor confidence, and, ultimately, your bottom line. 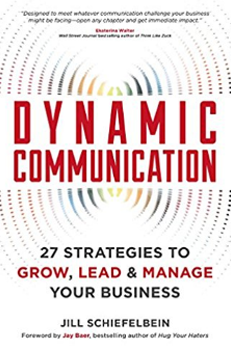 Expert business communicator Jill Schiefelbein offers strategies to help business leaders ensure they present and deliver the best messages they can across a wide variety of situations in Dynamic Communication: 27 Strategies to Grow, Lead, and Manage Your Business. What is Dynamic Communication About? Business communication, as it is commonly taught, focuses on the mechanics of effective communication. Students of business communication are taught how to speak concisely and with proper grammar. As a result, many business leaders are taught how to answer a phone, deliver a presentation, or write a report. They aren’t taught how to be dynamic or engaging. That’s the role of Dynamic Communication. As the title suggests, the book isn’t focused on learning the basics of business communication. It’s designed to help leaders refine the basics so they leave an impact. As Schiefelbein points out, dynamic communication has to do more than transmit an idea. In addition to successfully transmitting an idea, a person who wants to be a dynamic communicator has to be adaptive, proactive and confident as well. There is a higher payoff, though, in dynamic communication versus an effective communicator. A dynamic communicator has the power to improve their sales, gain more media coverage, have more engaging meetings and motivate everyone involved (from consumers to employees and investors) to achieve truly powerful things. Becoming a dynamic communicator involves refining the tiny details in business communication and marketing that most professionals take for granted. For example, Dynamic Communication delves into the difference between hearing and listening. Although the two words have a similar meaning, they are worlds apart. Knowing and acting on the difference between these two words can directly impact your sales potential. Understanding the power of tiny changes, like word choice, in your communication is the central message of the book. Schiefelbein wants readers to take that extra step to reflect on how they communicate. By taking that extra step, communicators of business cross the line between average and dynamic. Schiefelbein is a business communications expert, speaker, and contributing writer for Entrepreneur magazine. Schiefelbein’s background includes an extensive career in the field of business communication as a former radio host of Communication Nation (a radio show about business communication), a former professor of public speaking and business communication at Arizona State University, and the current owner of two businesses specializing in communication, The Dynamic Communicator and The Impromptu Guru. What Was Best About Dynamic Communication? Dynamic Communication does an excellent job of helping readers understand the crucial impact of the small details in communication. Although things like grammar and punctuation matter, there is more to business communications than that. Schiefelbein takes this idea even further. She takes the time to show readers how being more aware of our communication directly impacts our sales and marketing in ways that we might not even realize. Dynamic Communication isn’t designed to be a comprehensive book covering every aspect of business communication. 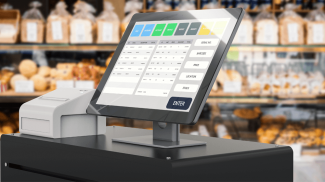 It’s designed to serve as a kind of communication “spot check” in specific areas of business communication, such as sales calls or meetings. Two things that could improve this feature of the book include chapter and section headings that are more descriptive (for quicker navigation) and a list of takeaways or specific steps at the end of each section or chapter. Dynamic Communication goes beyond the clearly defined boundaries of books on business communications and dives into the murky waters of reality that business professionals face every day. Using her experience as a professor, radio host, speaker and business owner, the author illustrates why businesses need to worry about more than just getting the words out and the punctuation correct. Businesses need to communicate clearly and with power to truly make an impact on their employees, but also the external world at large. Successful communication with this kind of expanded audience requires clarity and impact. Dynamic Communication is a book that can definitely help any business professional gain more clarity and become more proficient at making an impact with a dynamic presence, no matter who they are talking, listening, or writing to. This is important especially if you are working in a technology business that have a separate marketing and engineering team. Communication allows them to work together.